Our Primary School is co-educational and includes Grades 1 to 7. The aim of St Catherine’s Primary School is to develop the whole child and to encourage a caring and loving attitude towards all people, regardless of race and language or religion. Each pupil is acknowledged as an individual, therefore allowing him/her to develop to his/her own potential. We follow the National Curriculum Statement of the Department of Education. The staff attend in-service courses to keep abreast of new schools of thought, teaching methods and educational strategies so as to ensure balanced growth in academic ability and physical, emotional and spiritual development. Prospective pupils are required to write entrance examinations to determine their placement. Each classroom is equipped with educational games and teaching aids. The Doug Rhind Media Centre houses books and magazines for both the Junior School and High School. Each teacher is responsible for an extension programme which usually includes an overnight excursion. Assistance is provided by a specialized Remedial teacher during school hours to learners with specific learning problems. Close contact between staff, parents and pupils leads to a loving and secure environment. 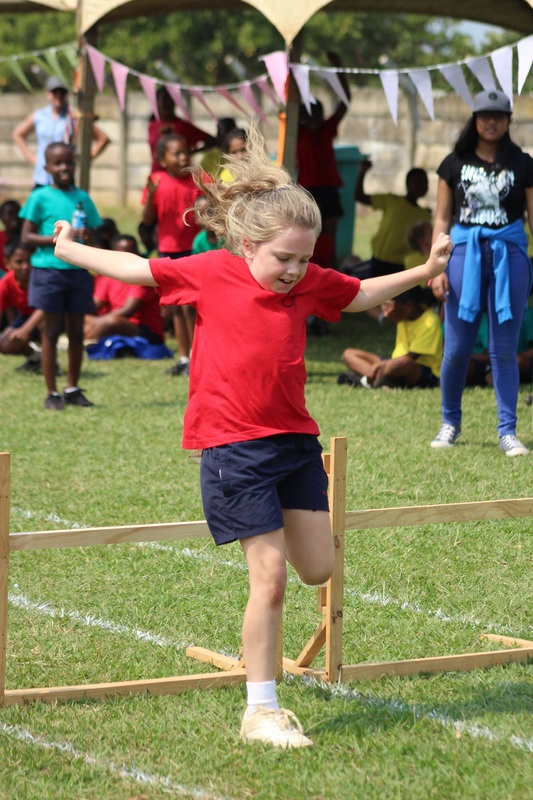 The learners are encouraged to follow St Catherine’s School motto: VERITAS. St Catherine’s School Earlyact Club started in May 2003. We carry out at least three projects a year; one to help the school, one to help the community and one to help people internationally. St Catherine’s School has a Reading, Listening and Learning Centre controlled by a Remedial Specialist.